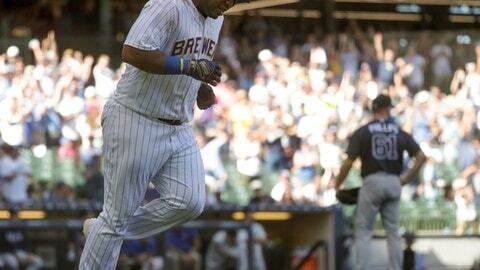 MILWAUKEE (AP) Jesus Aguilar is bashing his way to a breakout season. ”He’s been brilliant, man, he really has,” Milwaukee skipper Craig Counsell said. ”Thankfully, I was able to make pitches and the defense behind me was able to come through with some big double plays, and we were able to escape those jams without too much damage,” Guerra said through an interpreter.